In Lao, the literal translation of setting your heart on something is to thung jai het. 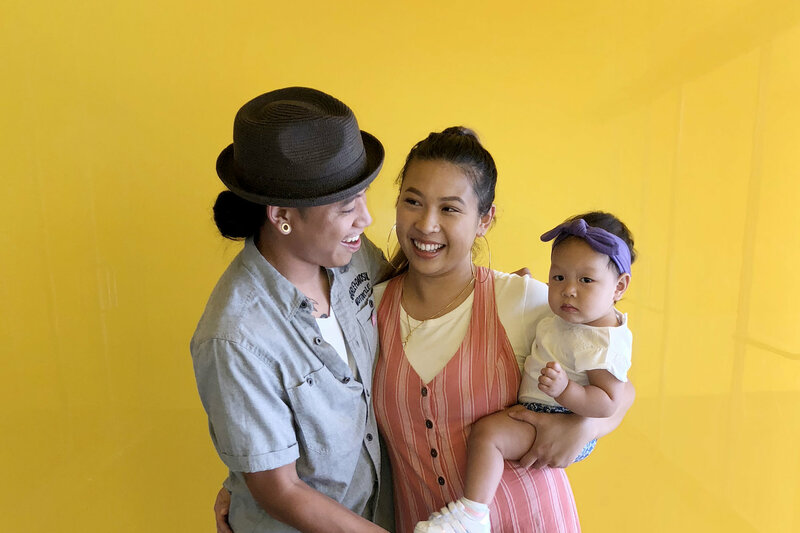 Embodying this saying in their everyday mantra in food, family and life is Soul Lao‘s wife and husband duo (now trio) Sabrina Boualaphanh and Eric Phothisanh, along with their biggest fan—their toddler, Willow. In the beginning of their cooking journey, the couple moved from Minnesota to the west coast, searching for purpose and identity. They traveled to Laos and Thailand in 2015 to learn how to cook Thai food, going to and from different cooking schools in Bangkok and Chiang Mai. The two made everything from scratch using fresh ingredients bought at the market that day. Photisanh and Boualaphanh said that trip was eye-opening, both personally and for their careers. The couple decided to return to Minnesota in 2017 to share their food and culture with the community. Soul Lao started with local pop-ups to introduce Lao comfort food to Minnesotans. A year later, their following on social media turned into a full-blown food truck that can now be seen around the Twin Cities serving savory chicken wings, heaping bowls of khao piak sen and more. 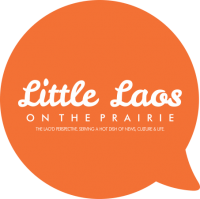 The wholesome couple sat down with Little Laos to share with us about their humble beginnings to what’s next for Soul Lao. From Thai food to Lao comfort food. Eric: I was doing odd jobs in LA, before being blessed with meeting and networking with a lot of people. Then cooking became a passion. Sabrina: We originally were set on cooking Thai food. Then we went to Laos. Sitting down with our Great Aunt Dao in Luang Prabang was life changing. She told us about our family history and what my dad went through in the war. Hearing what happened was important for us to know. It didn’t seem right to us to cook food that we weren’t in touch with. We not only wanted to cook Lao food but we had to. Until this day, Aunt Dao still reminds us where our family is from. And we can’t forget that. E: We didn’t think about why we wanted to cook Thai food, actually. Now, looking back, I realized I wanted to pay homage to those before us. The Lao grandmas and aunts who cooked. Aunt Dao asked us, “Why not Lao food?” So I said, “Dang, you’re right. Why not?” She took us to meet artisans at textile shops using traditional art forms from scratch. So I was inspired to do the same. S: At that time, there wasn’t much Lao food in Minnesota. Then #LaoFoodMovement rose. Now that we have that platform, it helped us with a following of foodies. On the vision for Soul Lao. E: Soul Lao is a brand like a phoenix from the ashes. That’s our vision. We fought hard to be on a platform that represents our independence. We come from heritage that is underrepresented, so we wanted to be a pillar for anyone who want to explore and be open to our food. We’re in the generation where we don’t know enough of our past so this has been eye-opening for us. S: This is the food of my people but when you eat it—it feels like going back home. We’re going back home to our recipes. Our vision is to represent what is actually happening out there right now. We want to have a small brick-and-mortar restaurant one day. A staple spot for people to at least know comfort Lao food for what it truly is. I want to explore the different noodle soups of Laos and to share it with people. I always wanted to open a noodle shop because noodle soup is my real soul food. We’re also known for our backyard cooking. That’s Eric’s mode of cooking. The worst mistake you can make is thinking you can do it all yourself. If 2018 has taught me anything it’s what can happen when you put the right team together. Skills can be taught but hunger can’t. I can easily teach you how to make a dish but can’t teach you how to hustle. I can’t teach you grit or passion or any of the things that get you ahead. If you bring that to the table then you’ve already won. As much work Eric and I put in this year, Soul Lao wouldn’t be ANYWHERE without the dedication, selflessness of the team. From standing in the pouring rain, to having no power… you guys handled it. To our team behind the scenes as well… I’m wildly grateful. Patiently waiting for what 2019 has in store. 🗣 Y’all ready? What’s next after first year of being in business. E: Now we have a daughter. It’s the best thing that’s happened to us. S: It’s a challenging transition to have a baby while running a business. We’re still trying to find that balance, but we have great support from our friends and family. For us this year, we’re not focused on mass production and making the most money. It’s about fresh ingredients, fresh cooking as well as family and building community. Soul Lao’s food truck will be out of hibernation come April. Catch their whereabouts on Facebook, Instagram and website. Congratulations to this young couple, being Lao and entrepreneurial we are still behind other groups in this area. I seen a’lot of advancement with our community in small business but my questions is and I have discussed this with others. Why does it always have to be a restaurant. Majority of us have been here since the late 70’s and early 80’s we haven’t learned any other skills or trades?